Board has decided to introduce grade system in place of divisions in the results of the Annual High School Certificate & Madhyama Examination-2014 and onwards. 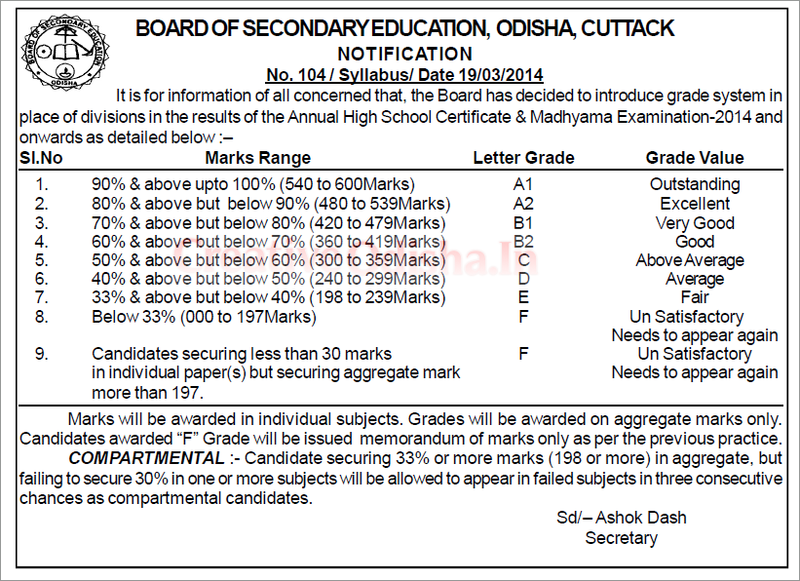 Mostly today Board of secondary education of Odisha published the HSC 10th exam grade system marks range and grade value. BSE divided the grade system in 9 categories that is A1, A2, B1, B2, C, D, E, F. Also Board added grade value in the grade system.